Let’s just say having a glass of soda next to an open laptop is not the smartest idea, but I do it again, and again and again. 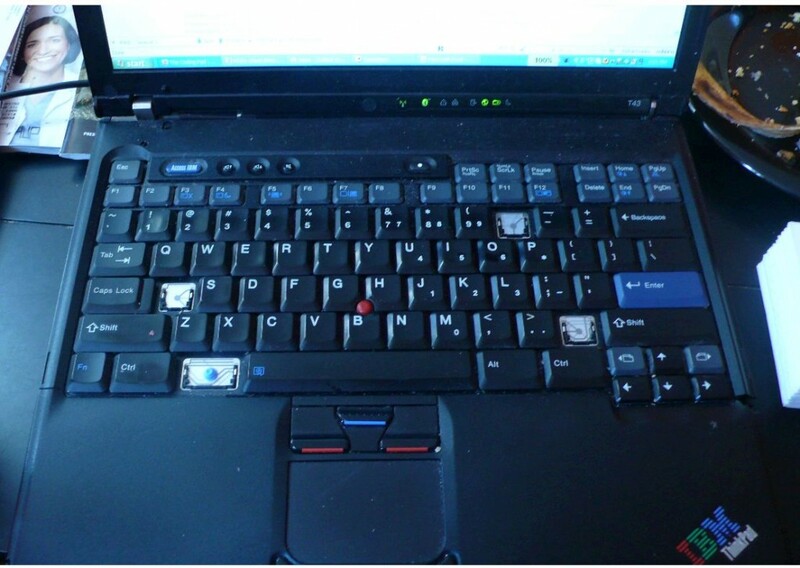 Thank God I have a Thinkpad. They can take the most amazing amount of abuse and still work! Here is the journey from toothless keyboard to nice, new, non-sticky keyboard. You can click on the images to see a larger view. Laptop after several keys popped out and broke after my various attempts to solve the sticking problem… Still usable, but annoying.